The Gates Lab studies coral reefs in the Pacific Ocean to understand how changing environmental conditions influence the health of corals. Studying the health of reefs over time is especially important for providing a baseline data set on the impacts of climate change on coral reefs. 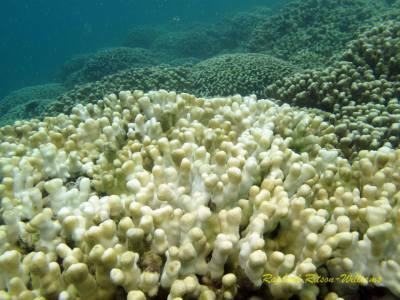 In the last few years, we have seen unprecedented coral bleaching events during the summer months that can be attributed to high seawater temperatures and high irradiance, especially on the shallow patch reefs of Kaneohe Bay, Oahu. Long term ecological research in Kaneohe Bay and other areas of the Pacific help us to understand the current conditions that corals are exposed to and provide important insights into the ability of corals to resist and cope with changing habitats. Measuring abiotic parameters and physical conditions: photosynthetic active radiation (PAR), temperature, sedimentation, seawater salinity, seawater nutrient composition. 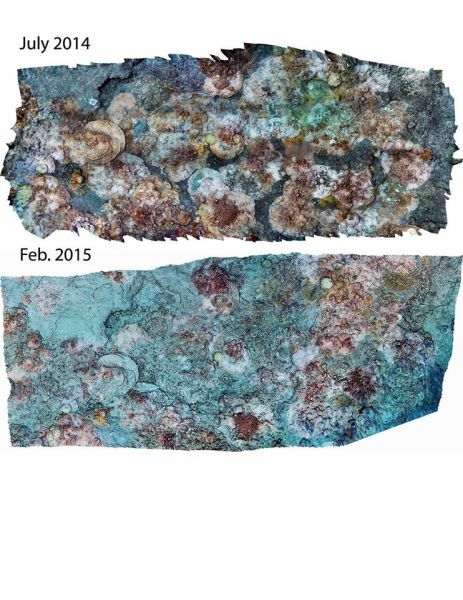 Monitoring coral colony health: visual and photograph assessments of coral health, percent live tissue, and bleaching/disease severity over time. Building 3-dimensional models of reefs: measuring complexity of reef habitat and monitoring changes in structure of reef after disturbance. Lab member John Burns conducts research on coral health and disease with the goal to determine environmental drivers of reduced health and disease and assess the impacts on the structure of coral reefs. 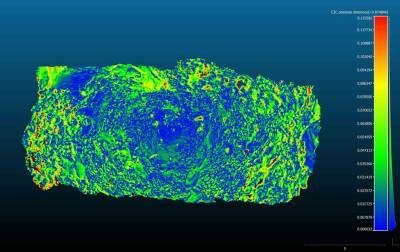 He has developed techniques to quantify the 3D structure of coral reefs using structure-from-motion photogrammetry and geospatial software tools. This approach can identify specific species and/or morphologies that are key drivers of habitat complexity, as well as determine how coral mortality affects reef structure and ecosystem processes. Take a tour of Ke'ei reef with John! 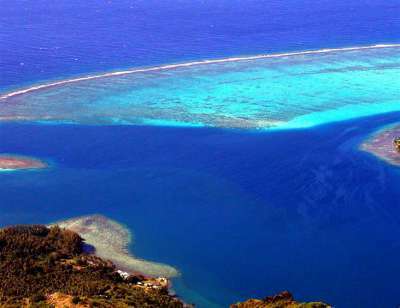 "The Moorea Coral Reef Long-Term Ecological Research site (MCR LTER) is the complex of coral reefs and lagoons that surround the island of Moorea, French Polynesia. Coral reefs represent one of the most diverse ecosystems on earth. Unfortunately, the world's coral reefs are disappearing at an alarming rate. Current estimates indicate that almost 20% of the world's coral reefs have been lost and another 35% are in serious danger of being lost by 2050 due to the effects of coastal development, over-fishing and multiple factors associated with global climate change (GCRMN 2008). 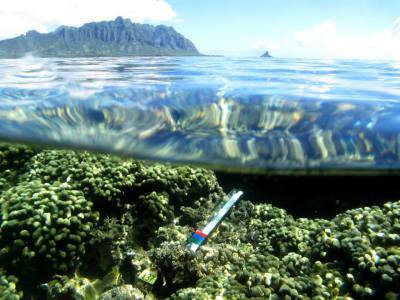 The primary goal of the Moorea Coral Reef Long-term Ecological Research site is to explore the effects of these external drivers on the fate of coral reefs." 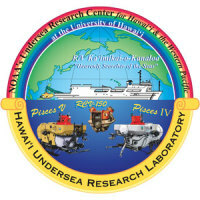 Check out the Moorea LTER education resource center here . 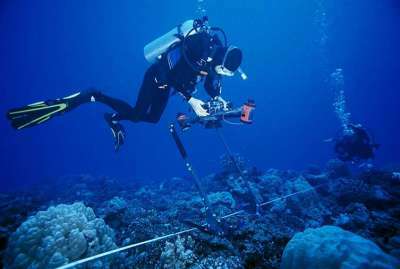 "The Coral Health Atlas provides easily accessible data, immersive visual displays, and general information for study sites throughout the Hawaiian Archipelago. 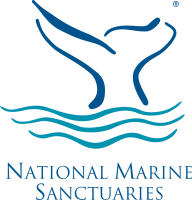 We hope to promote a global understanding of the importance of healthy coral reefs in order to protect and conserve these precious ecosystems."